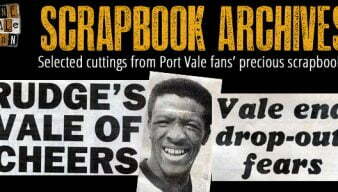 Striker Darren Beckford is rightly regarded as a Port Vale legend after a prolific spell with the club. 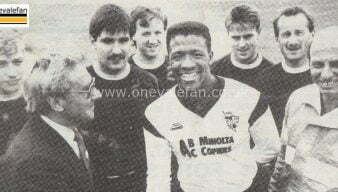 Beckford joined initially on loan in 1986 before fans helped to fund a permanent transfer in 1987. It proved to be money well spent as Beckford netted 82 goals before a near £1m move to Norwich City in 1991. 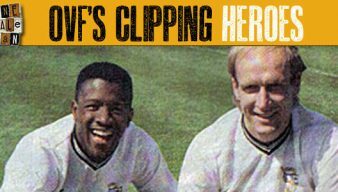 Our latest addition to our OVF YouTube channel is a compilation of some of striker Darren Beckford’s many Vale goals. 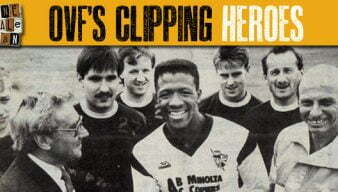 A new series of videos by OVF celebrate the achievements of key Vale players or officials. Our aim is to sum up their work for the club in a matter of minutes. This one looks at the MBE routine. 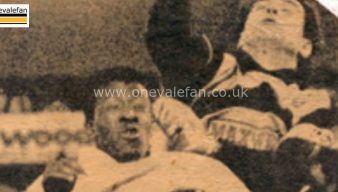 Here’s a clip from Central News, circa 1990, of Vale players Robbie Earle and Darren Beckford. The report includes a brief compilation of the pair’s goals. 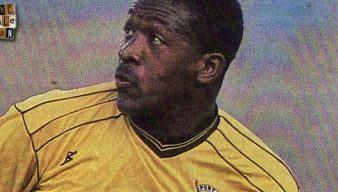 In this historical feature, we take a look at Port Vale programme feature from 1989 which celebrates Darren Beckford’s 150th appearance for the club.